Did you know that walkin tubs can help those suffering with limited mobility regain the freedom to bathe themselves? Our walk in bath tub products feature extra-low barriers, built-in seats, and easy-to-reach controls that make it possible to bathe with little to no assistance. 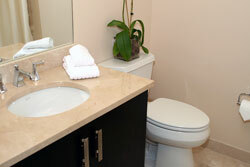 Individuals with these conditions need only swing open the door of our tub, step in, and take a seat to enjoy a bath. Our walkin tubs are equipped with safety features like convenient grab bars, a fast drainage system, a contoured tub seat, and anti-slip floors that make independent bathing possible and safe. Aromatherapy – This system produces fragrances that encourage relaxation. Light Therapy – Colored lighting is used as a holistic method to create a soothing atmosphere. Hydrotherapy – Popular for treating back pain, arthritis, and balance disorders, water or air jets can massage and relax muscles. If you would like more information about any of our walkin tubs, we invite you to contact our Atlanta office today.